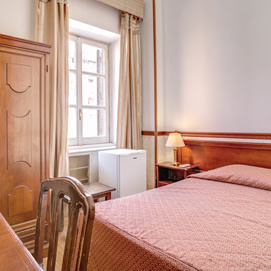 In the Hotel D’Este, our spacious double, triple and quadruple rooms offer a fantastic option for travelers to Rome, with competitive prices and friendly service. 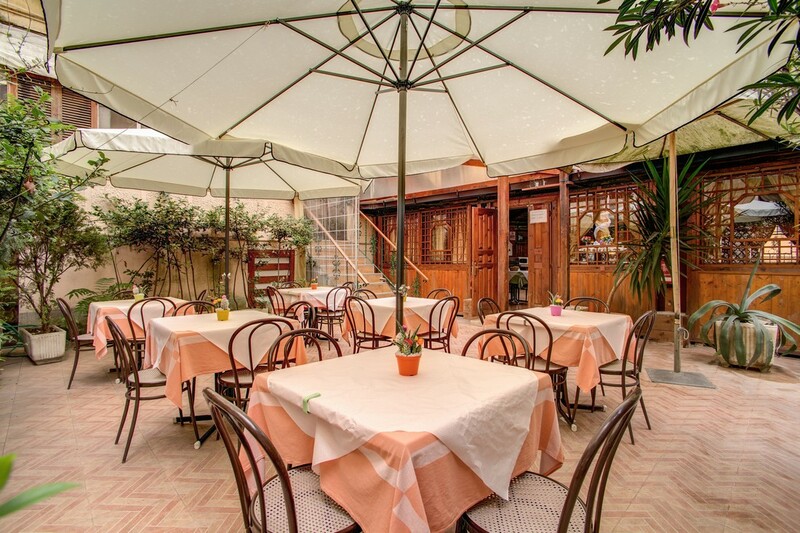 Right in the centre of the city, well placed for public transport, take advantage of our fantastic rates, and save some spending money to treat yourself to some Italian fashion, or a gastronomic experience in one of the fantastic restaurants on offer. Traveling with a family or a group of friends? 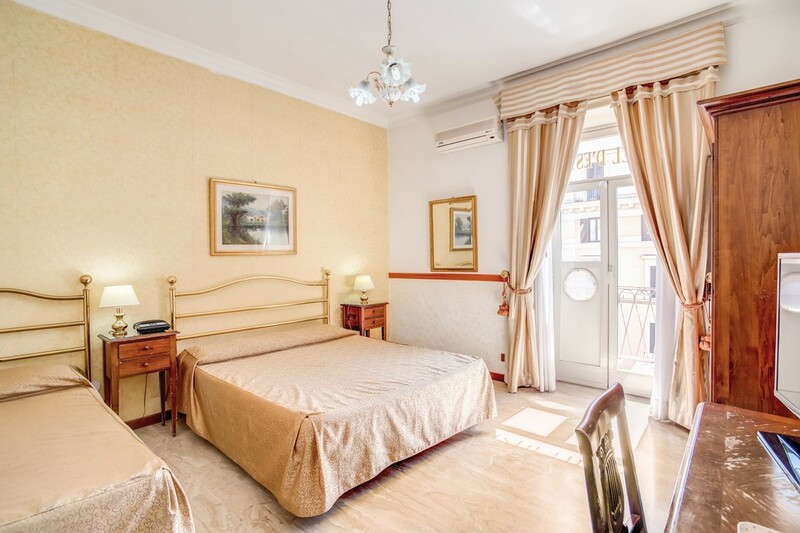 Our triple and quadruple rooms offer a fantastic money saving opportunity for those traveling on a budget looking for3 star accommodation Rome. 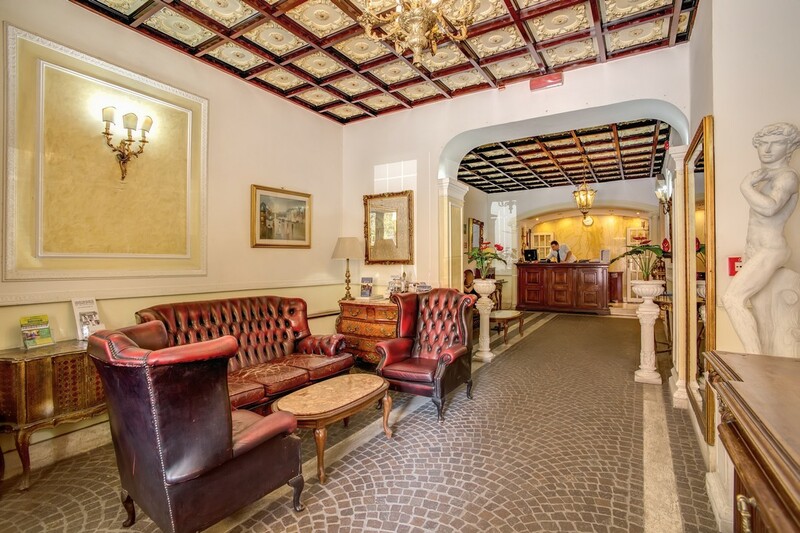 Our city centre hotel Rome offers the full range of services one would expect from an establishment of it's kind. We have a restaurant, and an extensive continental buffet of hot and cold drinks is served every morning in our adjoining breakfast room and is included in the room price. Our friendly, multilingual concierge service is also well qualified to help with any enquiries you may have during your stay in this wondrous city. Within a short walk of our front door you can find anything you may need or want. Supermarkets, banks, post offices, excellent Italian and International restaurants, lively nightlife, the opera, theatre, cinema you will be left wanting for nothing! 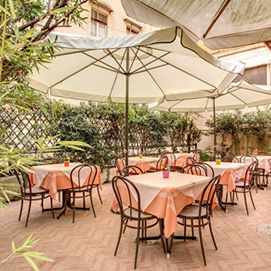 The Hotel D'Este Rome is the best choice for central, affordable accommodation Rome. 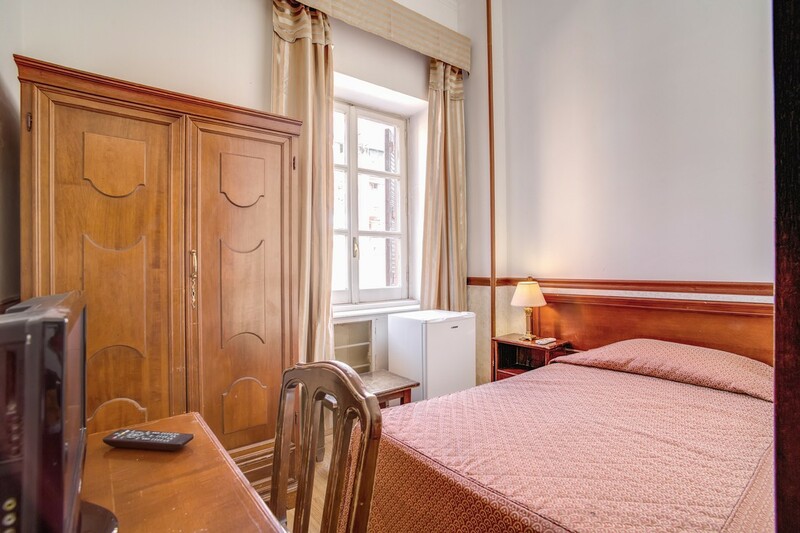 All rooms have air-conditioning, colour televisions with foreign channels, direct dial telephones, mini bars, private bathrooms,safes and hair dryers. The top flour rooms even have a small viewing balcony from which you can see the stunning facade of The Basilica Santa Maria Maggiore. 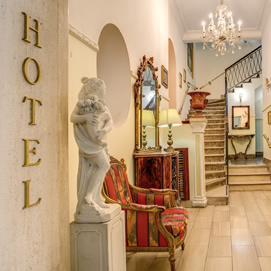 Whether in the city for business or pleasure, there are few option better placed offering better value accommodation than the central and convenient Hotel D'Este Rome. Book now online in real time and get your trip to the Eternal City started! 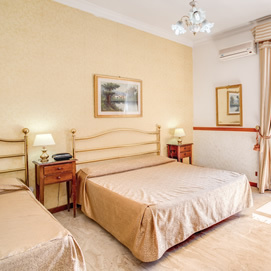 Room Facilities include Air Conditioning (In Room), Telephone, Television (with foreign channels), Daily Maid Service, Mini-Bar.